Create adorable children’s quilts that help them sleep peacefully through the night with GO! Elephants. 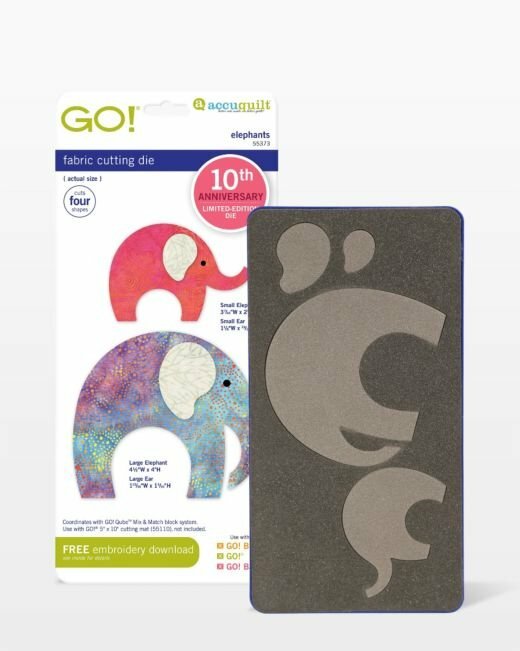 Use both the small and large elephant shapes alone or combined with other GO! appliqué dies to make decorative gifts and wearables too. This die lets you cut multiple fabric pieces precisely and in a flash.